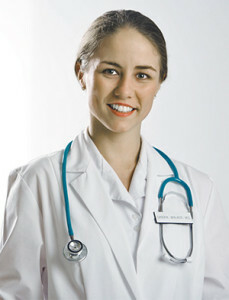 Health insurance provides protection for illness or injury to avoid devastating financial bills. To avoid tax penalties, be sure to have a health plan that meets the required minimum coverage in place for the entire year. Contact us today to enroll or to learn more! Navigating the information and changes in health insurance can be frustrating without the help of a licensed agent. The health insurance exchange can also be tricky to navigate to purchase health insurance with tax credits. Dageforde Agency can also help you with applying on the health insurance exchange. The price to enroll in health insurance does not change if you utilize the services of an agent, so put our experience and expertise to work for you! Open enrollment dates are November 1 to January 31 each year. Unless you having a qualifying event, such as a marriage, birth or adoption, death, divorce, moving to a new residence, or other life changing event that meets criteria, individuals can not apply for insurance until the next open enrollment period. Policies need to be applied for by the 15th of the month to be effective for the first of the month following the application. Dageforde Agency, also sells short term health insurance which provides coverage for specified time periods or gap coverage. Plans are also available to help with specific types of costs, including hospitalizations, accident, cancer, vision, dental, or medicare supplement plans. Specific information needed to quote a health insurance plan includes date of birth, zip code which the individual resides in, tobacco use, and county of residence. The penalty for not enrolling in health care coverage for 2016 is: 2.5% of your yearly household income, or $695/per adult, and $347.50 for every child without coverage. All ranges of deductibles and co-pays are available on a variety of plans. Typically, there are four levels of plans: Bronze, Silver, Gold, and Platinum. While the plans may have some items in common, understanding the differences and out-of-pocket costs are extremely important so that illness does not cause a financial crisis also. Health Saving Account Eligible plans are also available to help with tax savings for medical bills paid out of pocket.